As a country with few natural resources, Singapore’s development into a buzzing financial hub is a model of success that other small island-states such as Puerto Rico are trying to emulate. But can Singapore’s strategy be replicated around the world? As Singapore celebrates its 50th year of independence, we are reminded once more of how far this country has transformed, from a fractured developing country to the economic powerhouse that it is today. Indeed, Singapore’s transformation would not have been possible if not for the government’s persistent and dedicated emphasis on key issues such as economic reform, education and infrastructure, through a series of strategic initiatives and nation-wide programmes. The fruits of Singapore’s hard-won success are enviable today, as the small nation-state has now leapt ahead of its peers in the Asia-Pacific region, despite the fact that it lacks its own natural resources. Now, similarly other small countries such as Puerto Rico are attempting to style themselves as alternatives to Singapore in a bid to drive economic growth. However, how effective will Puerto Rico be? 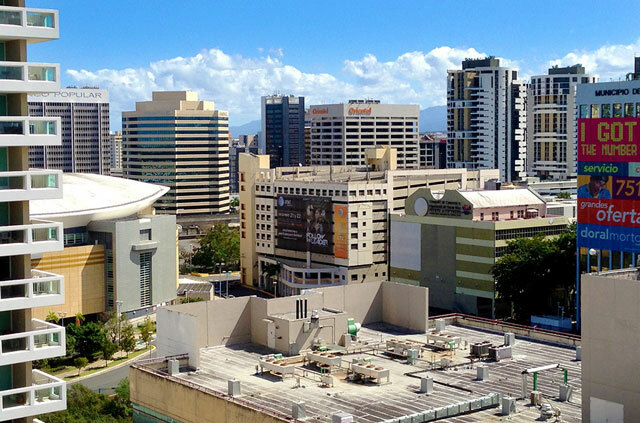 We take a look at how Puerto Rico is attempting to emulate Singapore’s economic success. As an island located in the Caribbean, Puerto Rico is a beautiful tropical island getaway, with its pristine, crystal-clear beaches and the remnants of 17th and 18th century Spanish colonial architecture. However, just like Singapore, Puerto Rico lacks its own natural resources. Instead, the island has depended mostly on its manufacturing industry to drive its economy – an unsustainable strategy that has resulted in an economy that has been stagnating since the early 2000s. Fast forwarding to the present, Puerto Rico is mired in debt and potentially heading towards its worst financial crisis, without prospect of a bailout. 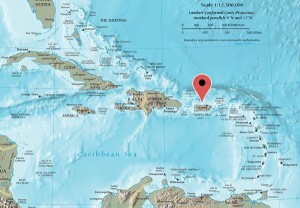 Moreover, Puerto Rico’s status as a U.S. territory is a double-edged sword, as while this eases travel restrictions for U.S. citizens and provides leverage for its economy in terms of trading relationships, Puerto Rico is also subject to trading restrictions and changes in policy determined by the U.S. government, who may not necessarily see the small island as a significant determining factor. One such example is the expiration of Section 936 of the Internal Revenue Service (“IRS”) Code, which previously granted U.S. firms operating in Puerto Rico with tax-free income. Subsequent to its expiration, incoming foreign investments have been pulled out, unemployment has risen to 14% and the economy has stagnated. In addition, Puerto Rico is left vulnerable to unsustainable policies that the U.S. Parliament implements, such as the national minimum wage, driving up labour costs for local and foreign-owned companies in Puerto Rico. This has had a significant impact on the relative competitiveness of the nation-state, as its Caribbean neighbours do not have to bear the same burden. Globalisation has not helped Puerto Rico either – without Section 936, Puerto Rico has lost to its peers in the Caribbean, where labour and raw materials are cheaper. From 1996 to 2014, it was estimated that the number of manufacturing jobs in Puerto Rico fell by almost 50% – a significant blow to an island whose economy was largely dependent on the manufacturing industry. Naturally, foreign investment has flowed out of Puerto Rico as well, leading to year-on-year declines in its economic activity. Modelling itself after Singapore’s example, Puerto Rico is now re-focussing its attention on U.S.-based companies and investors by promoting itself as a low-tax jurisdiction. With a flat one-tier corporate tax rate of 17% that is enhanced further by attractive tax incentives, Singapore’s corporate tax is one of the lowest in the world. 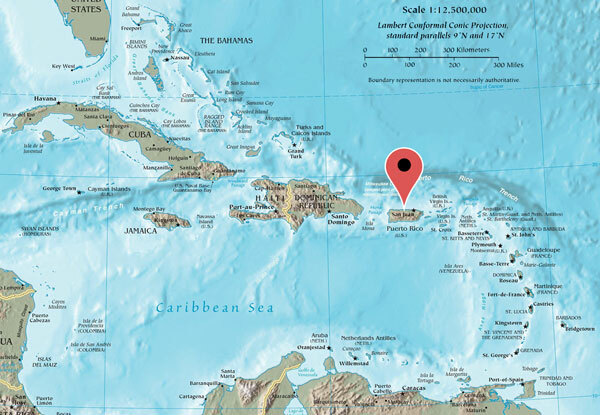 As a U.S. territory, Puerto Rico has its independent tax system; and the Puerto Rican government plans to sweeten this by introducing extremely tax incentives, such as zero capital gains taxes, zero taxes on dividends and a mere 4% corporate income tax. In addition, the IRS Code does allow tax exemptions on income derived from Puerto Rico for those who are considered residents of Puerto Rico. Certainly, there are many U.S. based businesses that could potentially benefit from these tax incentives, particularly for businesses where their operations are not location-sensitive. Examples of such businesses would include graphic design, call centres, software development and e-commerce. That said, Singapore’s success cannot be attributed solely to its economic policy. What Singapore has done is to introduce education initiatives and policies such as bilingualism and literacy, which have developed its workforce to a highly skilled one that can communicate effectively with both the Western countries and Asia. Furthermore, the Singapore government has continuously pre-empted and anticipated challenges and demands in the global economy, ensuring that its technological infrastructure has stayed ahead of the game, to ensure that it remains highly competitive in the global market. In fact, Singapore has for the tenth consecutive year, obtained the World Bank’s endorsement as the best country in the world to do business. Given Puerto Rico’s history as a manufacturing centre, it is unlikely that the bulk of its citizens will have the necessary skillsets to be actively engaged in the type of technologically advanced industries that Puerto Rico is aiming to attract from the U.S. 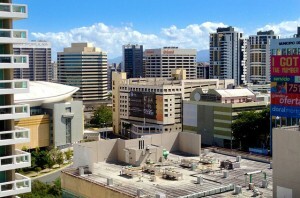 Without the suitable skills, even as these businesses create jobs in Puerto Rico, the locals will end up being relegated to lower-skilled jobs such as administration, which is unlikely to add value to their personal income, a problem aggravated as the Puerto Rican government continues to cut spending by choosing to close schools and reducing government-related services to the population. In addition, it cannot be denied that the Puerto Rican government’s focus on U.S. based businesses and investors is far too narrow; and may not do much to boost its economy. While U.S. currently remains home to much of the world’s wealth, the balance is rapidly shifting to Asia-Pacific and Europe, with the margins decreasing exponentially day by day, especially as aggressive economies such as China leap forward with massive and rapid industrialisation. By keeping its focus solely on the U.S., Puerto Rico is capping its own ceiling and limiting the opportunity for its own growth and expansion. Similarly to Singapore during its own history, Puerto Rico must face hard truths and make difficult decisions for the future. In April, the Puerto Rican government rejected Governor Garcia Padilla’s proposal to implement a 16% value-added tax (“VAT”), which would have boosted its economy and provided an additional S$1.5 billion in additional revenue for the Puerto Rican government, which would greatly ease its repayment of S$3.5 billion in general-obligation bonds that Puerto Rico sold in March 2014. Indeed, the Puerto Rican’s government inability to come to a consensus on difficult decisions that have significant impact on its economy continues to delay the state’s recovery. Singapore similarly, has had many difficult and politically unpalatable decisions to make, which perhaps were made easier by the fact that the governing party, PAP, has single-handedly dominated the Parliament for decades, unlike that of many other foreign countries, which often have had well-intentioned policies stalled due to filibustering and non-constructive opposition. Indeed, the development of Singapore’s economy is wholly unique; and one that cannot be easily emulated, particularly if a country is unwilling to cohesively dedicate itself towards economic reform and change its policies in other key areas, such as education and infrastructure. At the end of the day, small countries such as Puerto Rico, Cyprus and others will have to go one step further to think about how they can distinguish themselves to MNCs and foreign investors on a global level, rather than simply attempting to replicate Singapore’s model of success. Ready to start your own company in Singapore?